Residents in the Portland metro area are fortunate to have close access to state-of-the-art medical care and research facilities. Thousands of people every day seek medical care and are able to trust in the quality of that care. For most patients, the thought of becoming a victim of medical malpractice is not top of mind. 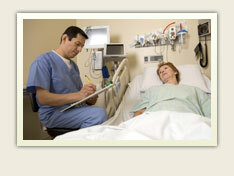 However, the reality exists that medical errors and negligence can and do happen—more often that many people believe. For many years, the prevailing research attributed the loss of 98,000 lives annually to medical errors nationwide. That is a startling number in itself but now a report issued in 2013 offers a different picture. The report, which was issued by a group known as Patient Safety America, asserts that at least 220,000 and as many as 410,000 people die due to medical mistakes around the country every single year. The only factors which cause more deaths in the U.S. are cancer and heart disease. With the number of wrongful deaths attributed to negligence on the part of a healthcare provider, system or facility, patients everywhere should be more alert. In addition to the instance of medical errors being cause for concern, so too can be the rate of attempts to conceal such errors. A study released by Johns Hopkins University indicates that when an error pertaining to a patient’s medication is made, the staff involved attempt to hide the problem 98 percent of the time. Such problems are instead supposed to be reported. There can be many types of errors made by medical personnel and each one can result in a very unique set of injuries or consequences. In 2013, Becker’s Hospital Review published a new report leveraging data from 2012 that gives a view into the nature of this situation. A wrong or missed diagnosis was noted in 33 percent of malpractice claims. An error or complication during or following a surgery was noted in 24 percent of the suits filed. Errors in the delivery of a treatment accounted for another 18 percent of cases. Obstetrics or birth injuries were the reasons for 11 percent of all claims. Information about the rate of medical errors and the seriousness of the associated consequences can make anyone feel uneasy. If you believe that either you or someone you love has been the victim of a medical error, you should consult with an attorney to discuss your case. There are many nuances in such situations and talking to a professional with experience in this area is the best way to identify your options.